Hey, fellow hutters and welcome to our first Beach Hut Life! 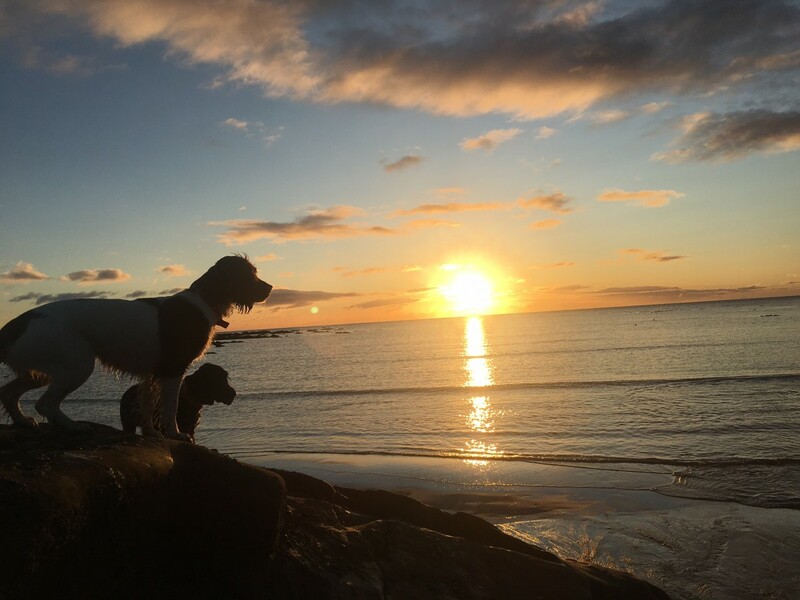 This is a roundup of all things happening in our beach hut life and hope that you enjoy it over the months and years to come! But as you can expect, as the days get shorter, our updates, emails, blogs and news frequency will slow down a little in comparison to the summer months. 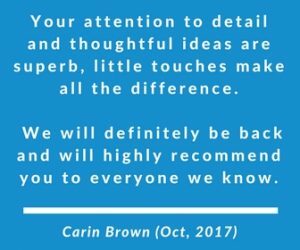 While we firmly believe that a beach hut can be enjoyed all year round (just check out The Browns and The Jones Family blog from their own Christmas Eve visit in our very first year of trading), this little ray of sunshine will now be published once per month. New Huts – Another eeek from me!! Yep, we do have two new beach huts confirmed for 2018 and both are currently undergoing renovation. Both are offering something new to our little hut collection in Walton-on-the-Naze, so I’m looking forward to sharing both of these with you early next season. I am actively continuing our search for suitable beach huts in other locations outside of Essex too. I will be releasing our managed hut ‘spaces’ soon for those owners on our waiting list. Keep your eyes out for more news soon. Change to our Booking Process – After long chats with our beach huts owners and consulting with Millie’s Beach Huts Club Members, we have made the decision to change one aspect of our booking process. At present, you can book up to 12 months in advance via our online system. While this will remain in place until 31st October, after that date we will only take bookings up to the end of April 2018. During spring next year we will then open up bookings for a further 12 months so that all huts and dates go live at one time. The exception to this will be of course be our Millie’s Beach Huts Club who will be able to access bookings on a rolling 12-month basis enabling priority booking on existing huts as well as new beach huts. So …. be quick if you want to get ahead and book any special dates for 2018 now. As of the end of October 2018, we’ll be closing the diaries down and won’t re-open till around March/April next year unless you are a Club Member. Closing during January and February – along with the above change, we have also made the decision not to take any bookings between January 2nd and February 28th. At present, after New Years Day bookings, we have very few bookings over that period and thus it’s the ideal time for all of our beach huts to have any maintenance completed and a good check over and clear out pre-spring. It also means we can all bunker down and ensure the work is completed during this slightly chilly days! Millie’s Beach Hut Club members will be able to book dates during that period on an exceptional basis for any special birthdays or even valentines days proposals! Beach Hut of The Year Finalist – Oh and finally.. just a little bit of news. 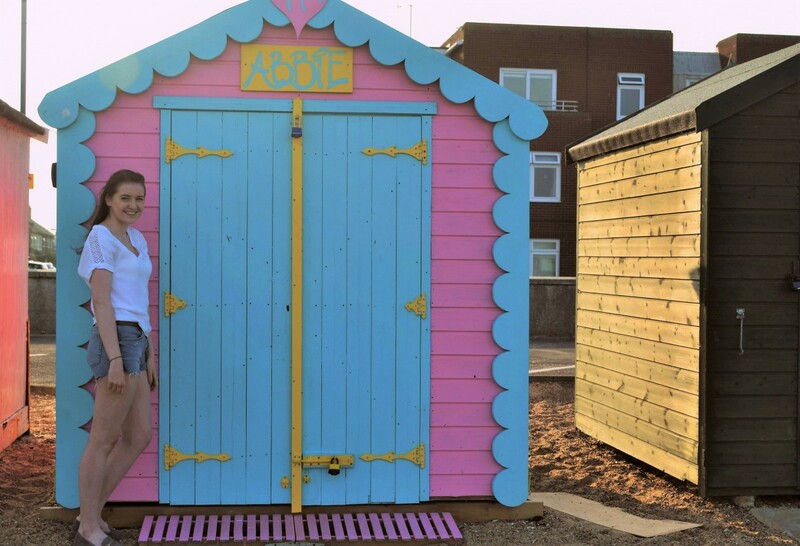 Abbie made it into the Love Your Hut Beach Hut of the Year Finalists!! I was thrilled to hear that Abbie was placed as Number 9 in the competition and will be featuring in the 2018 calender. We love all of our huts but I am super thrilled for John and Helen who own her and let us manage the hut on their behalf. You can meet Abbie here. Earlier this week, I published a blog from the talented Lynn McMurray who kindly agreed to do a guest post for me. Lynn has been busy building a fab new business all around seasonal decorating. While you may first think the blog is targeted at beach hut owners styling their huts for winter, there is lots of great inspiration and Pinterest boards for anyone who may have a coastal or beach hut look at home, or in the garden, and looking to update it for winter. All without doing a full-scale renovation. As you’ll expect the pastel-themed suggestions jumped out at me and I’ve promptly ordered snowflake garlands already!! Pop over to read the full blog HERE. I also loved this fab infographic of a survey recently undertaken by Marbles showing the Best 40 Seaside Towns. It used a range of factors like the number of sunny days, Airbnb cost etc. While disappointing not to see a few of our Essex and Suffolk favourites show up, it’s helped inspire a few more beach hut adventures for 2018. I’ve been taking a little break from the epic 2016 reading list of business books and choosing instead to indulge in lots of light-hearted fiction. But what really caught my eye this month was a report shared by Sheryl Sandberg’s Lean In Community Facebook page. 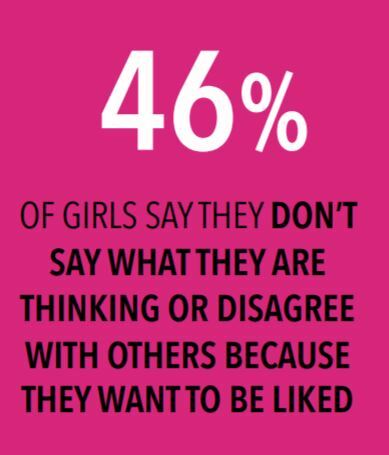 The Girls’ Index surveyed over 10,000 girls across the nation to learn about their perspectives on everything from relationships to academics. I’ve had a quick skim through and while the survey is US based, it has some stark stats and insight. Ones just like the image above. Even if you aren’t that interested in the equality agenda, if you are a mum/dad/aunt etc …. this is worth a read (download it here). All I can say is pumpkins. Nope, not the normal variety. The ones that are painted with pink chalk paint and topped with gold painted stems. I stumbled across this blog written by Lauren Conrad, which while written in 2014, has the most amazing ideas for decorating your pumpkin in true Millie’s Beach Hut Style. 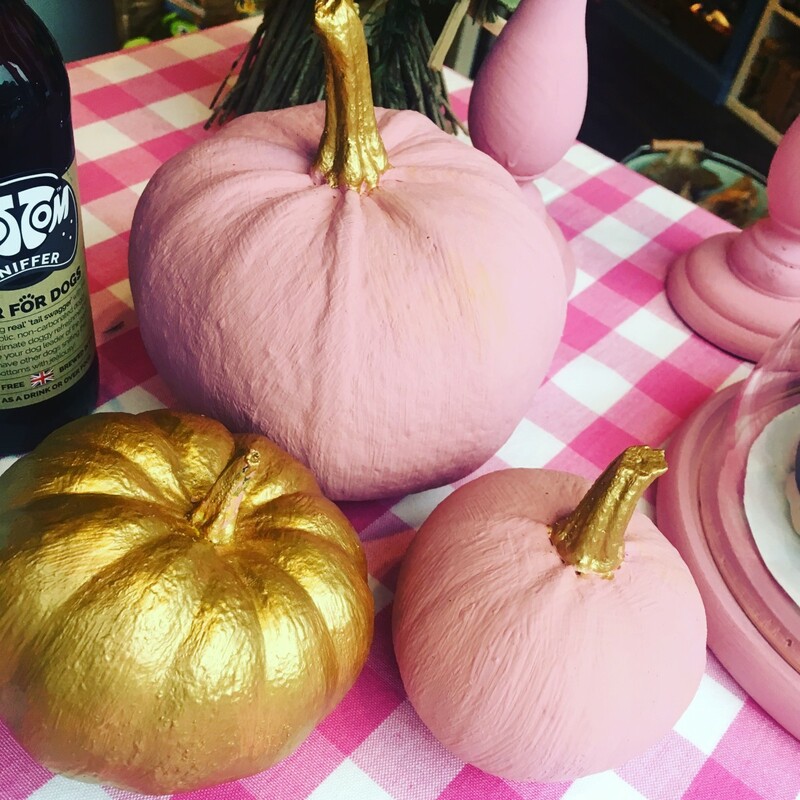 I quickly purchased a range of diff pumpkins, used up some old pink chalk paint and ordered this fab gold paint for contrast from Amazon at a bargain price of just £3.10. Yep … it seems you can do Halloween without needing to cover everything in black and orange. Some of you may remember Ali, when I shared a fab blog she wrote on gender neutral clothes. She has now just launched Christmas range both on her Facebook page and on her website here. I know these are selling like hot-cakes! I’ll take an adult-sized winter crossover dress, please! !